The Highbridge Voices Chamber Choir has just returned from their first trip outside the United States. It was a performance tour that included stops in Montreal and Quebec, Canada, and the five days were packed with concerts, a university campus tour and cultural immersion in Canada’s francophone region. Our 35 students and staff were on the road by 7:30 AM on April 11th, and arrived for a noontime concert in Albany at the New York State House. It was the perfect pit stop before crossing the border into Canada and continuing on to Montreal. The group arrived at the Marriott Chateau Champlain around 6:30 that evening. The hotel was located downtown and was within walking distance of Old Montreal, the city’s historic center. The city is pedestrian friendly, and as our students walked along the illumined streets to and from their dinner that night, it was the perfect introduction to this historic and beautiful place. Lights out came promptly at 11 p.m. in order to be well rested for the exciting full days ahead. By 8:30 the next morning, the students were dressed and ready in their concert attire (tuxedos for the men and black velvet performance gowns for the women). They ate a quick breakfast near the hotel and loaded onto the bus for their first concert in Canada. 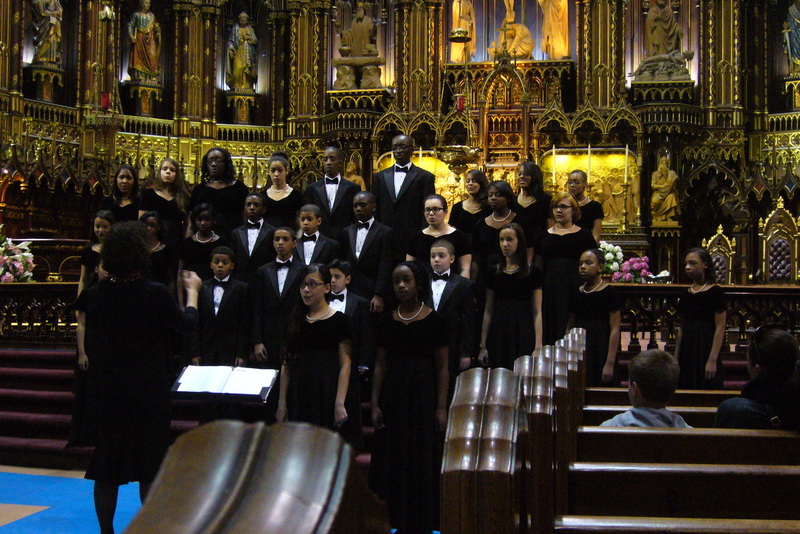 Under the direction of Ms. Clementi, the students performed an hour-long program at the Basilica of Notre Dame. This gorgeous 19th century church offers iconic twin bell towers, a wonderful acoustic and beautiful architectural detail. The concert featured a set of French Canadian pieces, including the rhythmic and spirited “J’entends le Moulin” by Donald Patriquin. Our students had worked diligently on their French diction, as their audiences in Canada were primarily native French speakers! After the concert, the students split up into groups to eat lunch in Old Montreal and then spent the rest of the afternoon at the Biodome and Olympic Park. The building was originally constructed for the 1976 Olympics, but now houses live exhibits, recreating the different natural environments found in the Americas, including a rainforest, a polar area and a forest of maple trees. Our students had an amazing time exploring these indoor natural habitats, especially seeing the penguins being fed. For dinner that night, our students were introduced to a signature dish from Montreal: Poutine at Resto La Banquise. Poutine is a dish made of French fries smothered in brown gravy with cheese curds and sometimes cut up hot dog, bacon or peas added to the mix. The kids loved it, which is not exactly surprising as it is a meal with French fries as its main ingredient! After dinner the students attended an exciting performance by the modern dance group Compagnie Kafig at the Place des Arts, the city’s performing arts complex, and then it was back to the hotel for a good night’s rest. Friday, April 13th was another extremely full day that started with a campus tour of McGill University in the morning, followed by a joint concert and exchange with students from the Royal West Academy. The students then loaded the bus for the three-hour drive drive to Quebec City. Once in Quebec, the group ate dinner together at Les Trois Garçons and checked into their hotel. The students were then given time to enjoy the pool and unwind. 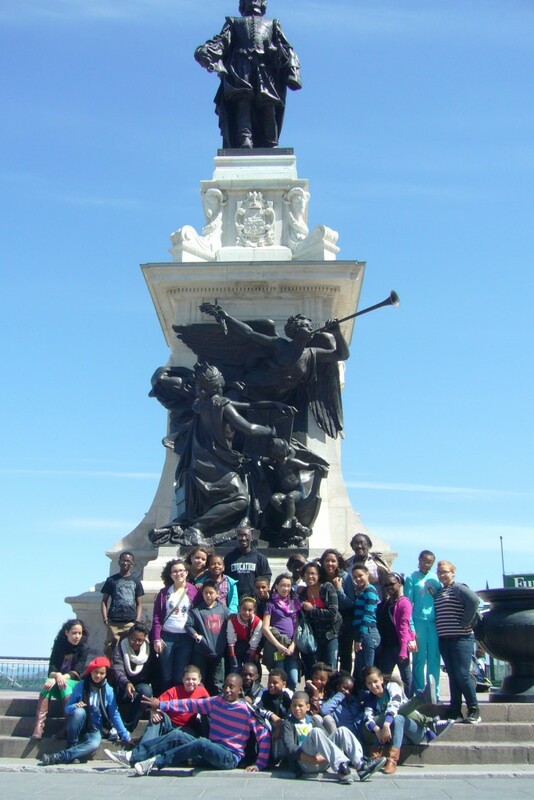 The following day the students were able to relax a bit and explore Quebec. The group took a walking tour of the old part of the city, which is surrounded by fortress walls. The tour included many historic sites, gorgeous architecture and beautiful parks. Quebec really embodied the feeling of a European city, and you could sense the excitement amongst our students as they took in this new atmosphere. 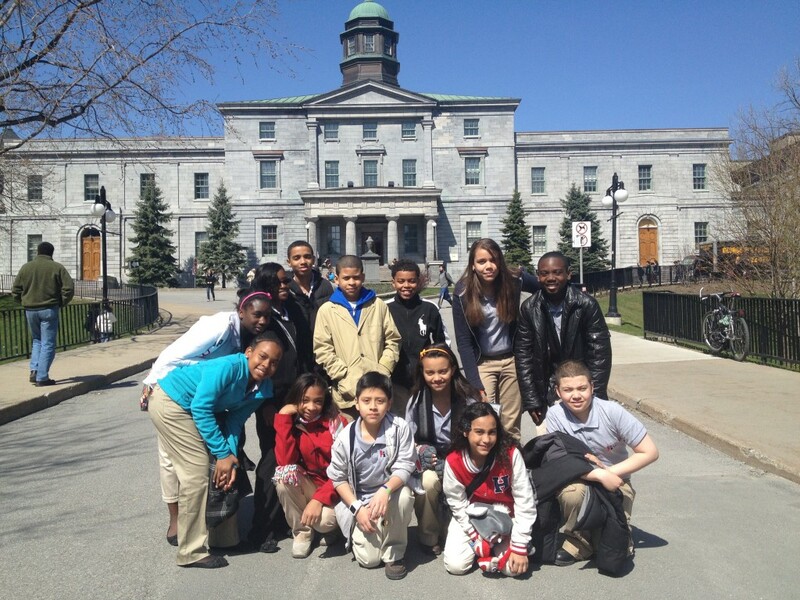 Then the students split up into groups for lunch and had some time to explore “old Quebec”. For the final unique experience of the trip, the group visited the Cabane à Pierre Sugar Shack. Sugar Shacks are huge log cabins located in the middle of maple forests where sap from the trees is harvested and made into the famed Canadian maple syrup! 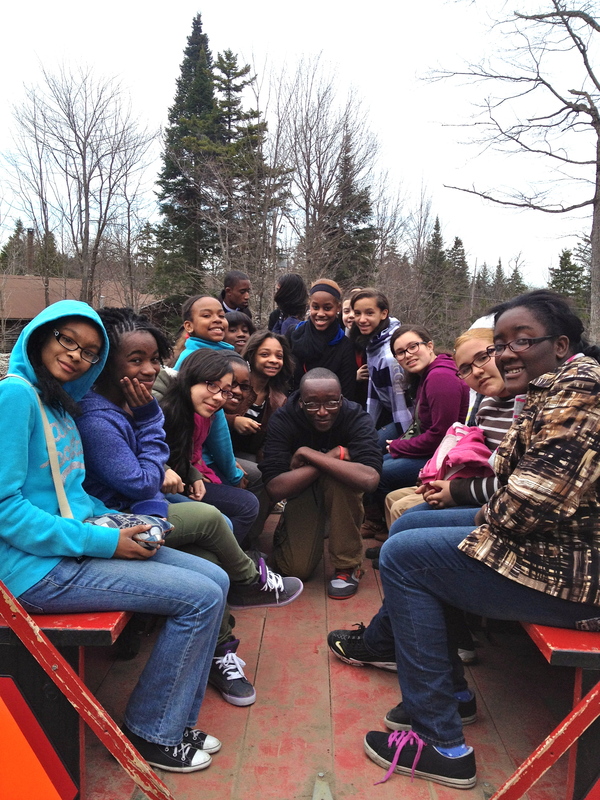 At the Shack the students took a hayride through the farm, learned about the tree tapping process, ate a traditional Quebecois meal, and sampled all sorts of sweets using maple syrups and sugars, a delicious experience for everyone. After one more evening of fun in the hotel in Quebec, our group loaded onto the bus at 6 a.m. the next morning to return home. The tour was a great success and an incredible experience for our students, full of music making and exposure to the wonderfully rich culture of French speaking Canada.